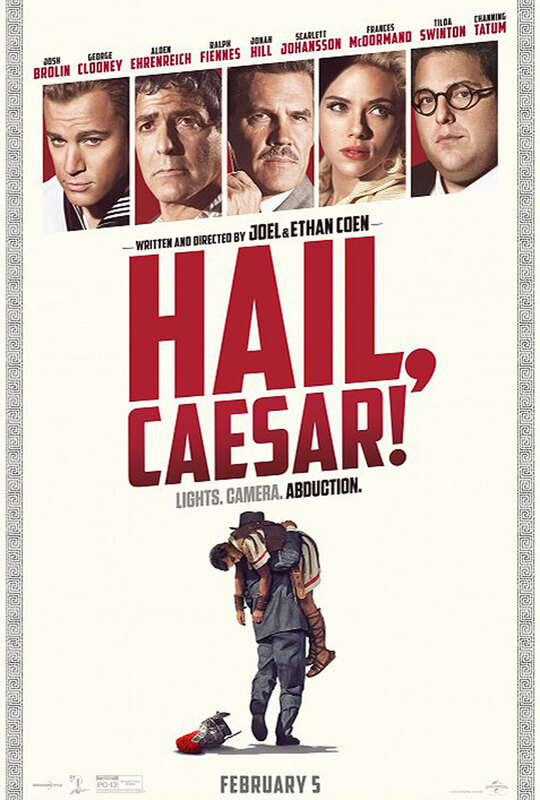 Even if you haven’t heard of Joel and Ethan Coen, you’ve sure as hell heard of some of their films. The brothers have jointly written, directed, and produced such modern classics as Fargo, The Big Lebowski, O Brother, Where Art Thou?, No Country for Old Men, and True Grit. Their work bounces around in time, space, and genre—the Coens never make the same movie twice—and they’ve been renowned for it over the past three decades, with 13 Academy Award nominations and four wins. Before all those accolades, the Coen brothers made their debut with 1984’s Blood Simple, a neo-noir thriller. Not wanting to make a reputation as one-trick ponies, they avowed to make to their next project as different from their first as possible. 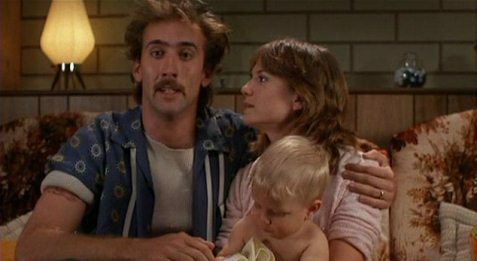 Out of that desire, the one-of-a-kind screwball comedy Raising Arizona was born. Our protagonist is Herbert I. “Hi” McDonnough, played by the polarizing Nicolas Cage, who can make or break a movie depending on whether or not he fits his character. Hi is the type of lovable nitwit that often fills Coen fare: an erudite idiot reminiscent of Lebowski’s Dude, if he’d been born in an Arizona trailer park and had a penchant (though not necessarily a skill) for robbing 24-hour convenience stores. Luckily, Cage slips into Hi’s skin masterfully, right down to the wacky hairdo and funny accent (“Temp-ee, Arizona”). The performance remains one of his best to date, although ultimately Adaptation takes the cake. Opposite Cage is Holly Hunter as the tight-lipped policewoman, Edwina or “Ed,” who’s always taking the recidivist Hi’s mugshot photos. After one particularly fateful arrest, Hi finds Ed in tears and learns that her fiance has left her. He proposes after his latest release from prison, and the two get married and move into a tiny trailer in the Arizona desert, which Hi lovingly calls a “suburban starter home.” One of the film’s many sources of comedy is the contrast between the upbeat world of Hi’s narration and that of the more objective reality we see on screen. Hi does his best to “stand up and fly straight” after settling into married life, getting a job in a machine shop, but finds it difficult “with that darned Reagan in the White House.” Nonetheless, as time passes, the couple want to take the logical next step and start a family. Unfortunately, “biology is against them,” as they receive the unhappy news that Edwina is “barren,” and they’re denied the chance to adopt because of Hi’s criminal record.